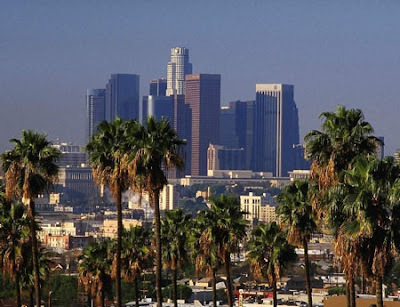 Los Angeles, situated in the southern region of state of California in the United States is much popular among backpackers, business as well as leisure travelres for mulitude of trends and cultures assembled by the city within its sphere. Being the world center of business, international trade, culture, media, entertinment, fashion, science, technology and other popular cults, city is truly a metropolis in its expasion as well as influence. It is the second most populas city in America after New York, however, its inhabitnats are referred to as "Angelenos". Further, establishment and presence of Hollywood, makes the city as the "Entertainment Capital of the World', and is one the primary reasons for a traveler to visit city of Los Angeles. The city came into the existence, when it was founded on September 4, 1781, by Spanish governor Felipe de Neve. At present the entire city is divided into over 80 districts and neighborhoods. Climate of the city is of Mediterranean type and if comes under cloud and rain for about 35 days. Spread across an area of 502.7 square miles, the city is both plain and mountainous. The city is bisected by Santa Monica mountains stretching from Downtown to the Pacific Ocean. The highest spot in the city is 5,080 ft, Mount Lukens. True to the spirt of metropolis, Los Angeles offers a great variety and verstality in spots and places to tour around the city. Some of the popular centers of attractions in the city are Walt Disney Concert Hall, Kodak Theatre, Griffith Observatory, Getty Center, Getty Villa, Los Angeles Memorial Coliseum, Los Angeles County Museum of Art, Grauman's Chinese Theatre, Hollywood Sign, Hollywood Boulevard, Capitol Records Tower, Los Angeles City Hall, Hollywood Bowl, Theme Building, Watts Towers, Randy's Donuts and others. More, the city has to offer some leisure moments at its popular parks like Griffith Park, Exposition Park and Mulholland Drive. Los Angeles is also popular for its shopping traditions as city offers a good number of world class shopping malls. The Hollywood and Highland mall is a great meeting spot in the city. Other some good malls are located at the Grove and the Beverly Center. Tour to Los Angeles is incomplete unless the culinary tradition of the city is not acquainted with. There is no dearth of places to eat in the city ranging from American diner culture, organic cafes, taco trucks, and swanky eateries with plenty of option to devour. And finally, one should not worry about reaching the city, as Los Angeles is well connected across the globe with major cities and National capitals. To ease out commuting troubles, the city of Los Angeles has about six major commercial airports and a dozen private airports. Though Los Angeles International is the most prominent airport in the city while serving with its nine terminals. Apart from airports, the city is well connected with other means of transport like train, bus, metro and taxi services.